While there are many options to manage the situation, including making the best use of all of our available feed resources such as crop residues, stockpiled pastures, and supplements, one of the easiest and cheapest management tools is often overlooked. It is not a feedstuff itself, but instead is the analysis of the feed through a forage nutrient analysis test. With the increasing focus on soil and water health in agronomic crop production, most have certainly heard the phrase from their county Extension Educator or local agronomist – “Don’t guess, soil test!” Well, as an Extension Educator with a background and experience in forage production and beef cow/calf production, I challenge every hay producer and cattleman to “Don’t guess, forage test!” So many times I have attended hay auctions around the state, or even witnessed hay sales transactions on the farm that involved nothing more than a visual color test, a scratch-n-sniff test, a touch and feel test, and of course a price test. While pretty green hay is appealing to us, color actually tells us very little about the nutrient content. With the right weather conditions, even alfalfa/orchardgrass hay cut at 45 days or more can show up bright green in a bale, and we all know what happens to the nutrient content of alfalfa past 30 days. Now as for the scratch-n-sniff test, I will not dispute that an experienced nose can sniff out musty and/or heat damaged hay that may very well not be ideal. And sure, a touch and feel test can indicate how soft the stems are, which MIGHT equate to maturity of the plant, but let’s combine all these variables. What is one of the best ways to make even mature hay soft to the touch? Bale it slightly higher in moisture. What is a good way to keep some color in mature hay? Bale it before the sun has a chance to bleach it out, which obviously means at higher moisture. But what about preservatives you might ask? Many hay producers are using proprionic acid and other preservatives to bale hay at higher moistures and beat mother nature at her own game while preserving hay quality. When used properly, this can significantly affect the nutrient content vs. letting hay get rained on, and when used on borderline situations, can allow for hay to be made that may still heat, and take away from the visual appearance, but could prevent molding. While significant heating can damage the proteins in the forage, treated hay will still usually beat the alternative of rained on hay when tested for nutrients. So the moral of all these stories? We really do not know much about our hay, or which hay to feed at the proper time for the production cycle of the cow unless we test it for nutrient content! To further illustrate the above points, let’s analyze some actual forage testing from some 2017 Sandusky and Ottawa County hay fields. The chart below shows the date of when the field was mowed, how many days in between cuttings, and some of the basic nutrient analyses. Table 1: Nutrient content and cutting intervals of Ohio hayfields. Field 1 is pure alfalfa – 3rd year stand, Field 2 is alfalfa/timothy – 3rd year, Field 3 is alfalfa/orchardgrass, 3rd year, Field 4 is alfalfa/orchardgrass/timothy – 6th year. In a “normal” year, if there is such a thing in Ohio, we would expect to be able to harvest on 30-40 day intervals, and we would expect protein percentage, Total Digestable Nutrients (TDN), and Relative Feed Value (RFV) to increase with each cutting. In turn, Acid Detergent Fiber (ADF) and Neutral Detergent Fiber (NDF) should decrease if subsequent harvest is made in a timely manner. As you can see from the chart, harvest was not always timely on these fields, but even when it was, we notice extreme variances across fields that were all managed similarly, and in the case of field 1, the exact opposite of what we would expect in terms of nutrient analysis through subsequent cuttings. There could be other variables having an effect here that we do not know about such as how many times the hay was handled in the field leading to leaf loss, field fertility, and variety of alfalfa and/or grass, but we do know that all fields were managed by the same producer using the same hay probe for sampling, and the same lab for testing. The main take home point is simple – to efficiently and effectively manage your herd when feeding hay, a forage test is the easiest and cheapest to use tool in your box, and essential no matter how good your eyes, nose, and fingers are at ‘evaluating’ hay! 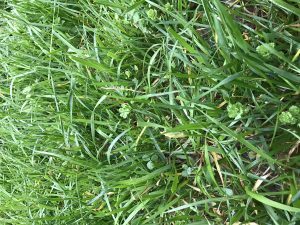 For more detail on exactly how to do a forage test, Stan Smith with the OSU Beef Team suggests that you take a look at the short video below by OSU Extension Educator, Clif little. 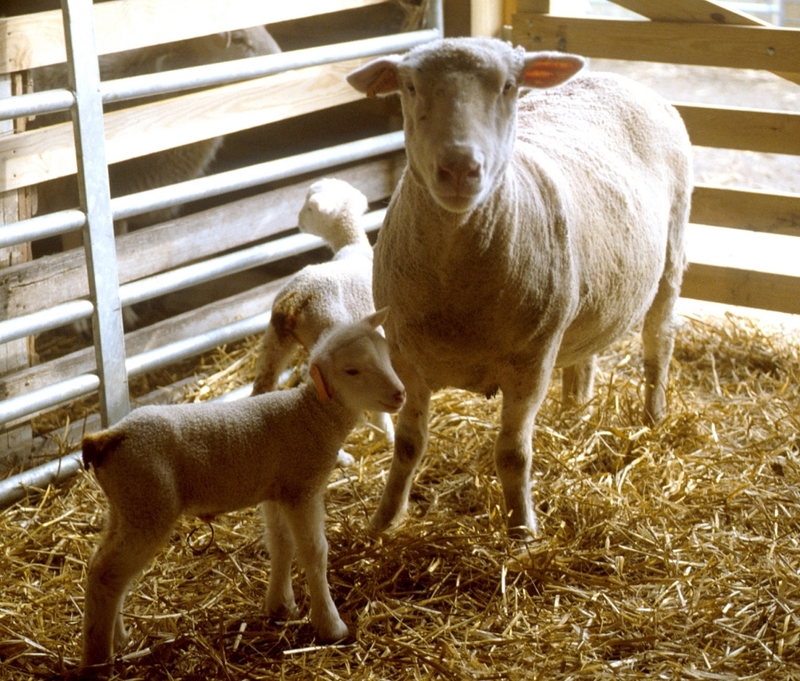 For those that have further questions regarding forages and forage testing, please contact one of our forage experts listed on the OSU Sheep Team – Team Members tab. 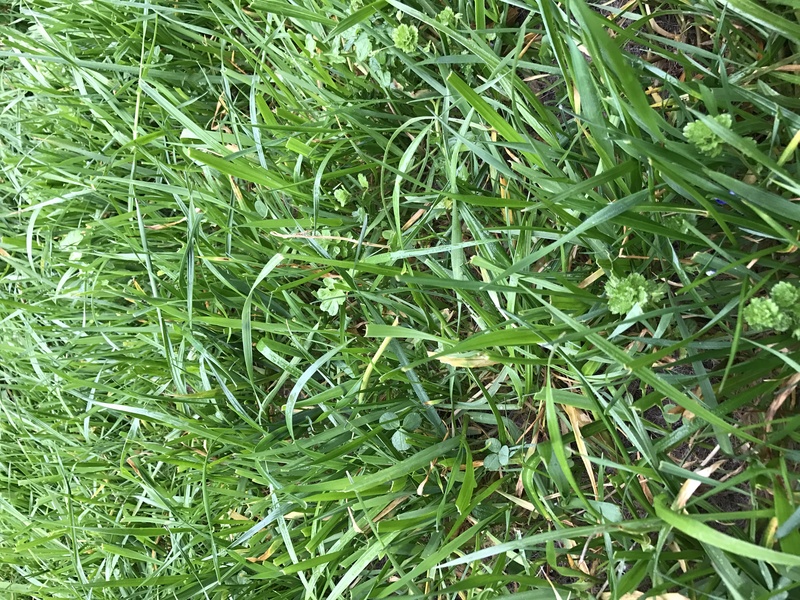 Posted by Braden Campbell at 8:00am November 7, 2017 Posted in Forages and Pasture and tagged Economics, Forages and Pasture, Management, Nutrition. Bookmark the permalink.